BHR Hollywood Reports......Remembering his dear friend, Diddy shared a clip on his social media calling all the fans of the late rapper to share videos of them rapping some of their favourite Biggie lyrics and tag him using the hashtag #WeMissYouBIG. The hip hop mogul promised that he would put together a special tribute to his dear friend and ‘the greatest rapper of all time’ using their submissions. 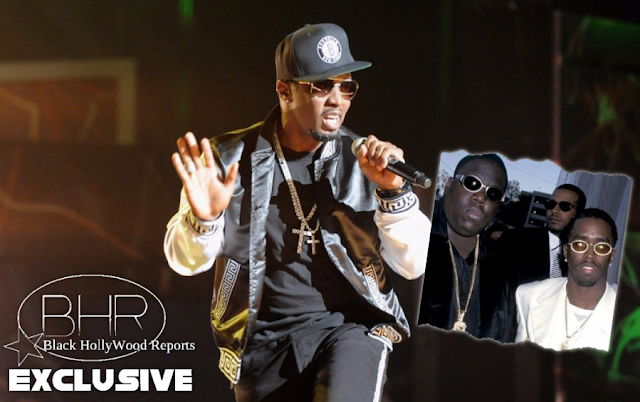 “The first time I met B.I.G., I brought him to a soul food restaurant called Sylvia’s, uptown in Harlem,” said Diddy. “The first thing that I remember was how big and black he was. I saw a picture, but in person, this guy is really a big guy and he’s really, really dark-skinned. This is during the time of Al B.
Diddy real name Sean Combs released emotional tribute single called I’ll Be Missing You after his death with his wife at the time of his death, singer Faith Evans. Notorious B.I.G. born Christopher Wallace, and also known as Biggie and Biggie Smalls, died on March 9 1997 at the age of 24 after he was fatally shot in his SUV. His killer was never caught.